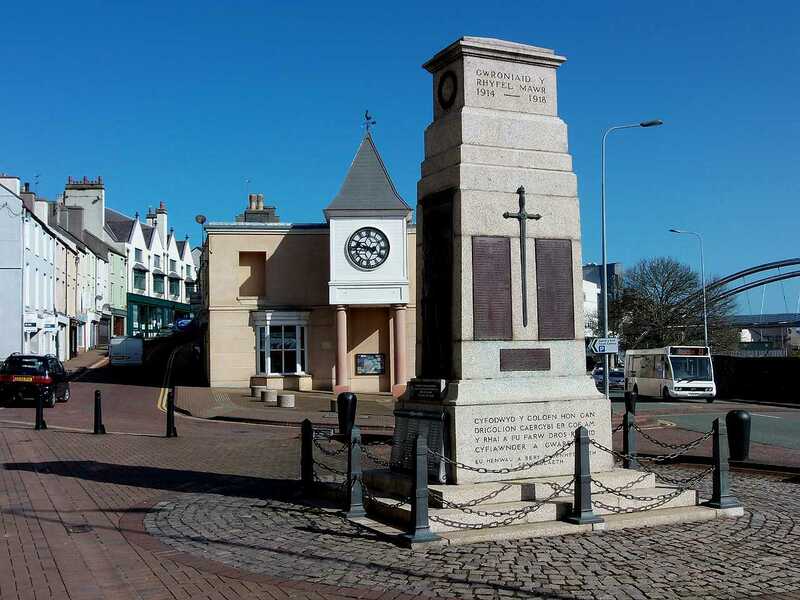 Holyhead War Memorial, Anglesey in North Wales. 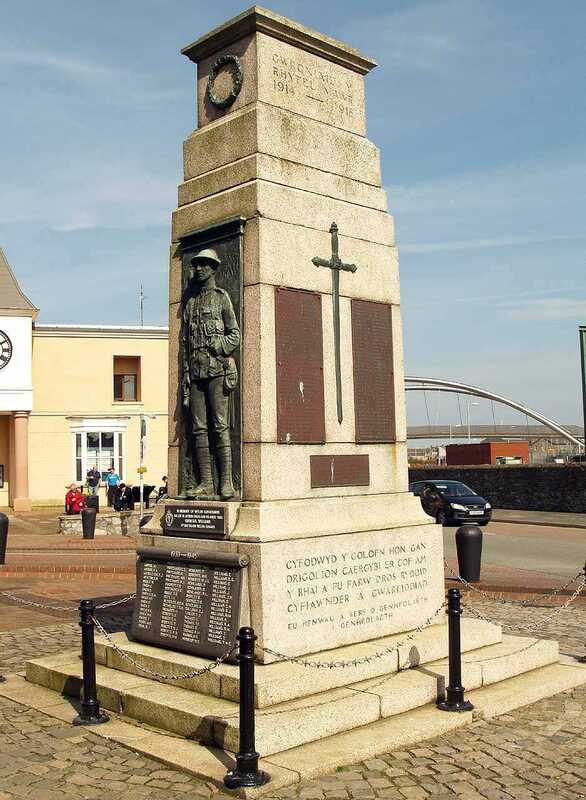 Holyhead War Memorial on the Island of Anglesey in North Wales was unveiled in 1923 as a lasting tribute to the men and women of Holyhead who laid down their lives for their country. 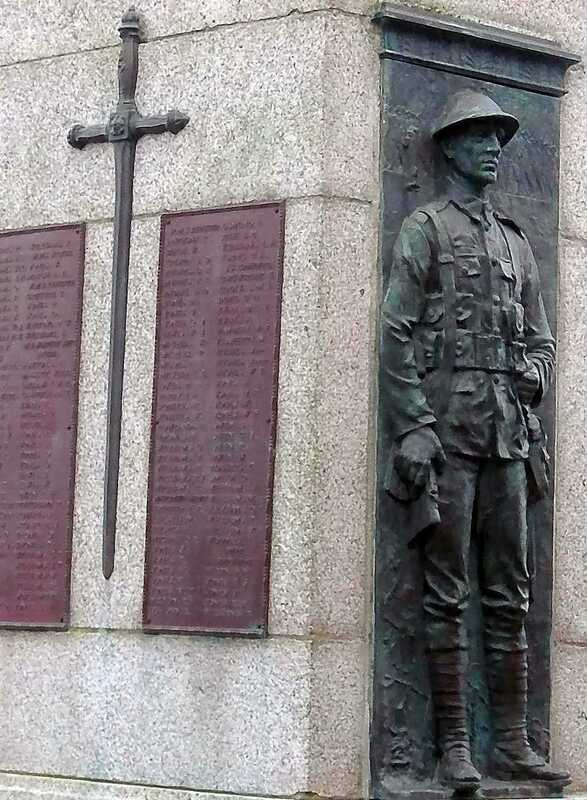 WWI (1914-1918) and WWII (1939-1945) were such devastating wars, deeply affecting the communities, and the casualties are not only remembered on the war memorial, but also in the churches, chapels, schools and community cemeteries. 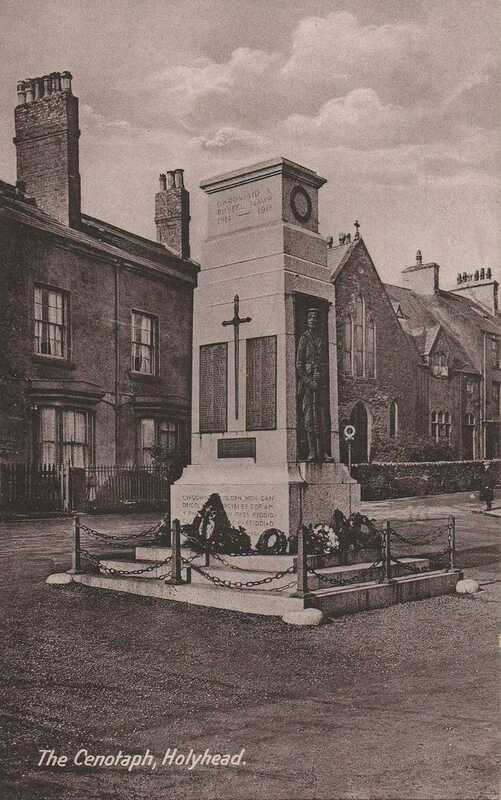 On the ensuing pages I will endeavour to present factual information about the men and women who are remembered, along with high resolution photographs that will help bring the casualties of war alive again - if only for a while. 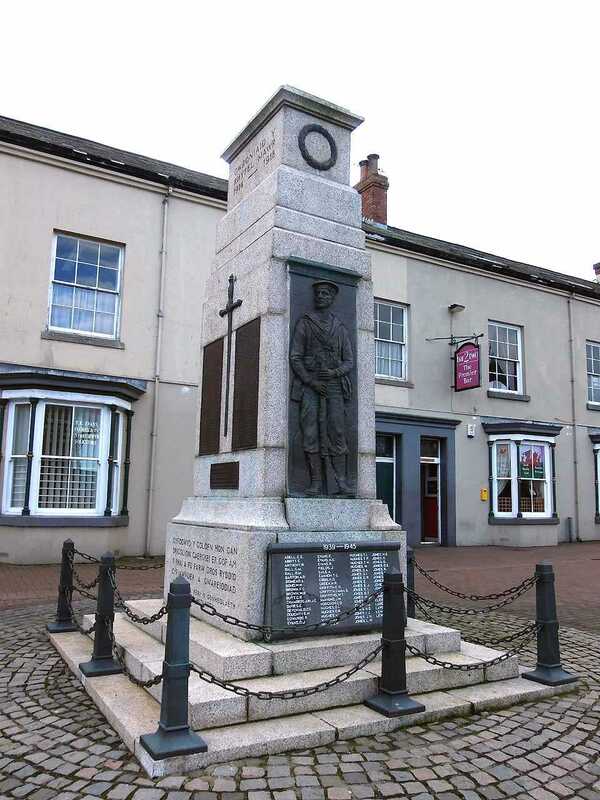 One of our previous townsmen, Captain John Fox-Russell, was posthumously awarded the Victoria Cross, the highest honour for bravery possible. 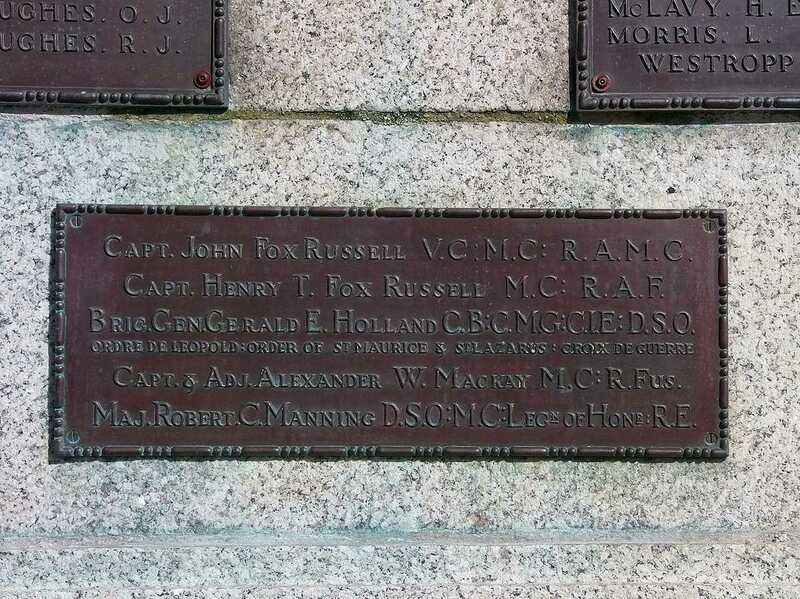 I will tell a small part of his story and that of his brother Captain Henry T. Fox-Russell, another hero who had been awarded the Military Cross, but sadly also died. 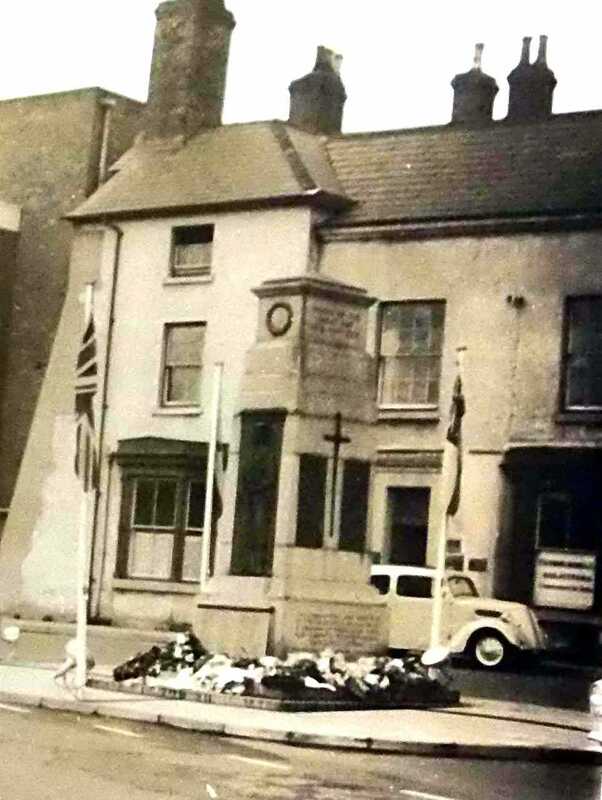 When I first came to Holyhead in 1970 with the Royal Air Force, I lived with their brother Charles and his wife in a house named 'Witchingham' on Walthew Avenue. I will tell the story of the sinking of H.M.S. Thetis in June 1939, with almost total loss of life - not strictly taking place during the war, but certainly in preparation for the inevitable war that would come just a short few months later. 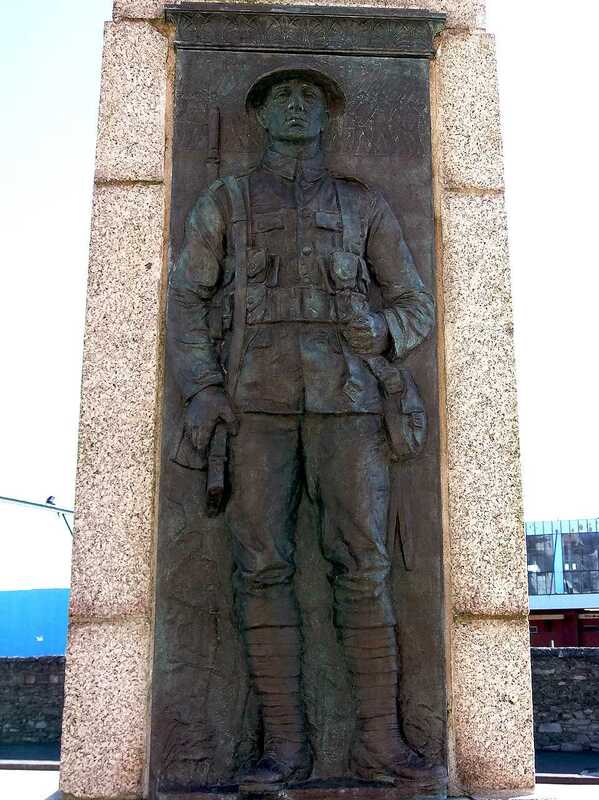 I believe during WWI that Holyhead lost more men and women per capita that any other town in the United Kingdom. 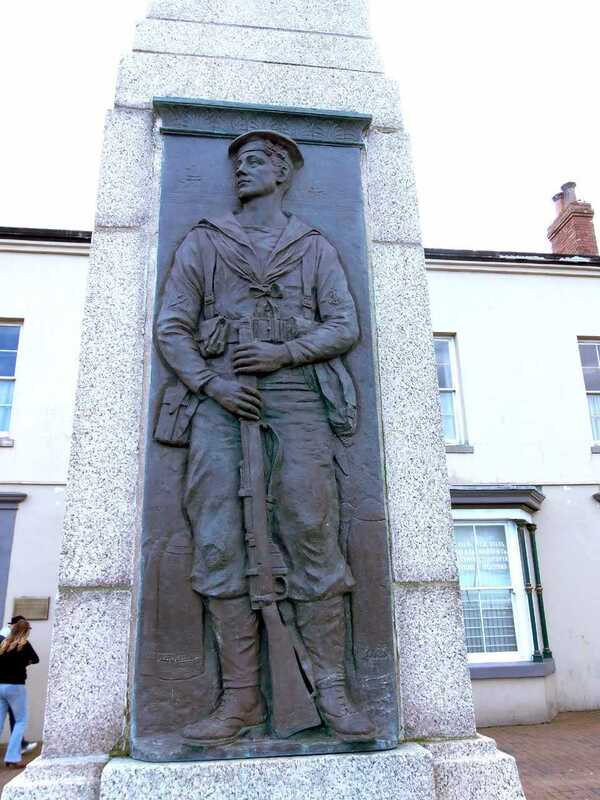 Not really that surprising if you consider Holyhead was and still is a ferry port, and nearly all of the ferries during WWI were commandeered by the Admiralty and subsequently sunk with great loss of life ensuing. During WWI H.M.S. Tara (renamed from the S.S. Hibernia), R.M.S. Leinster and H.M.H.S. Anglia all suffered great loss, and in WWII the H.M.S. Scotia was sunk at Dunkirk rescuing our troops. Tragically, just 16 years after the unveiling, another war shook the world and once more millions of innocent people paid the price during World War Two (WWII). 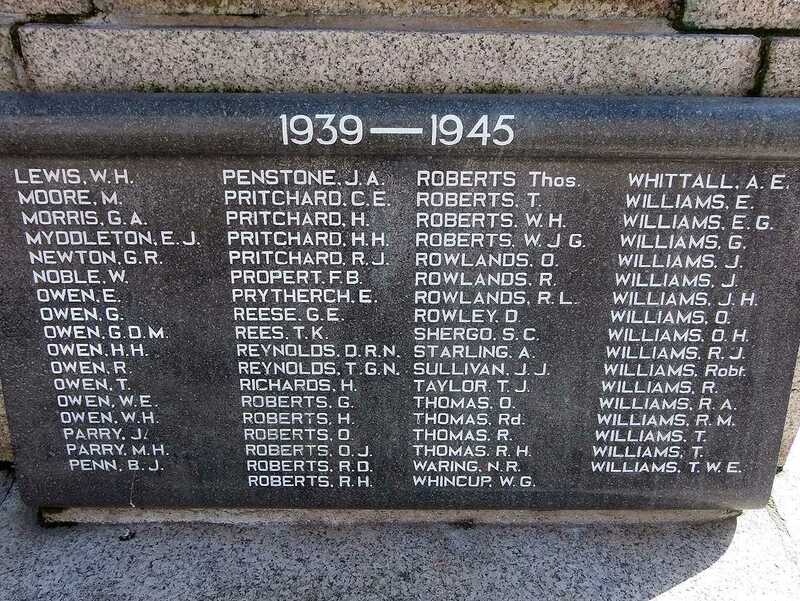 The names of our fallen servicemen and women were - after WWII - added to the memorial, and after ensuing conflicts other names were added - when will the human race wake up and strive to make this a peaceful world, it is the only one we have, and after all we are just temporary inhabitants of it? 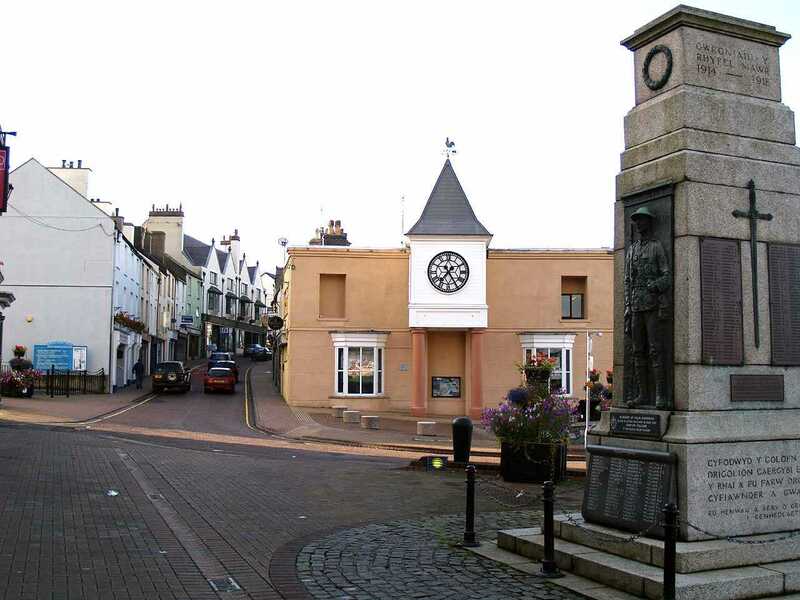 Anglesey, Holyhead, The War Memorial in its original position showing the chapel that used to be near it. Cyfodwyd y Golofn hon gan drigolion Caergybi er cof am y rhai a fu farw dros ryddid cyfiawnder a gwareiddiad. Eu henwau a bery o genedlaeth i genhedlaeth. 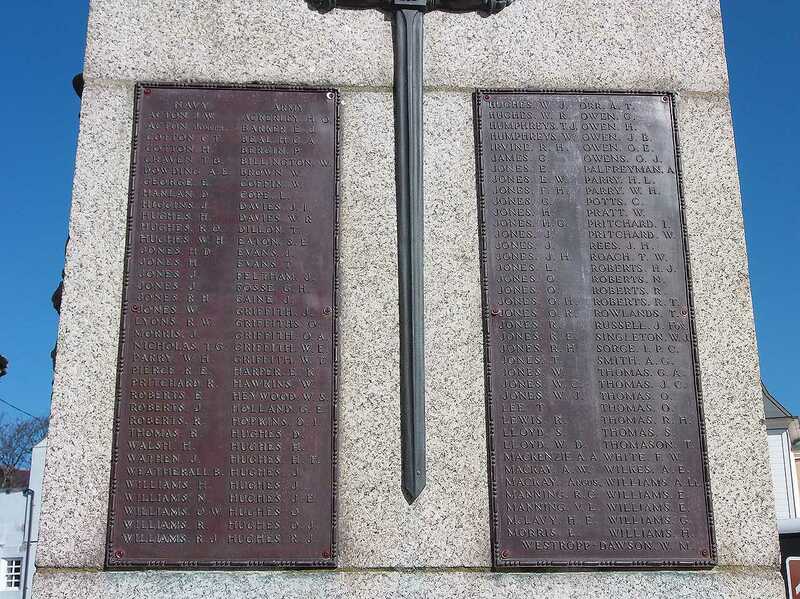 Gwroniaid y Rhyfel Mawr 1914-1918. 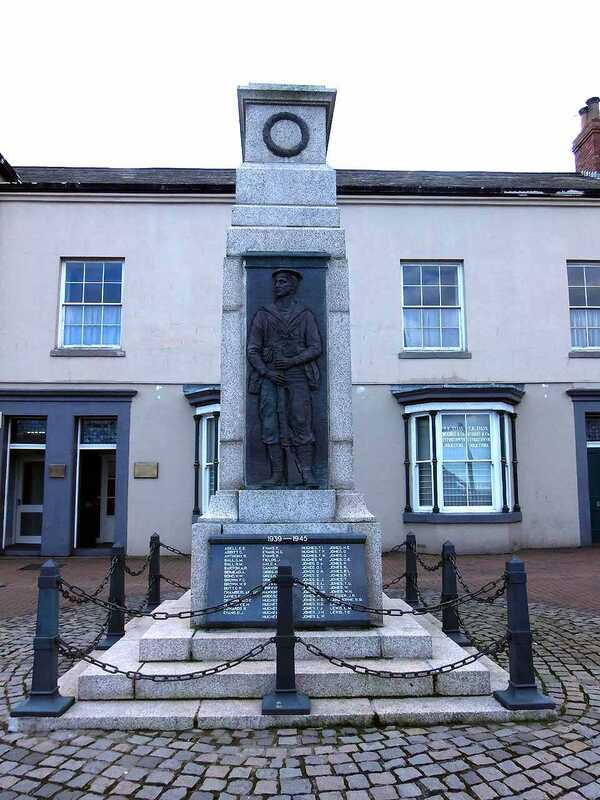 This monument was erected by the residents of Holyhead in memory of those who died for freedom, justice and civilization. 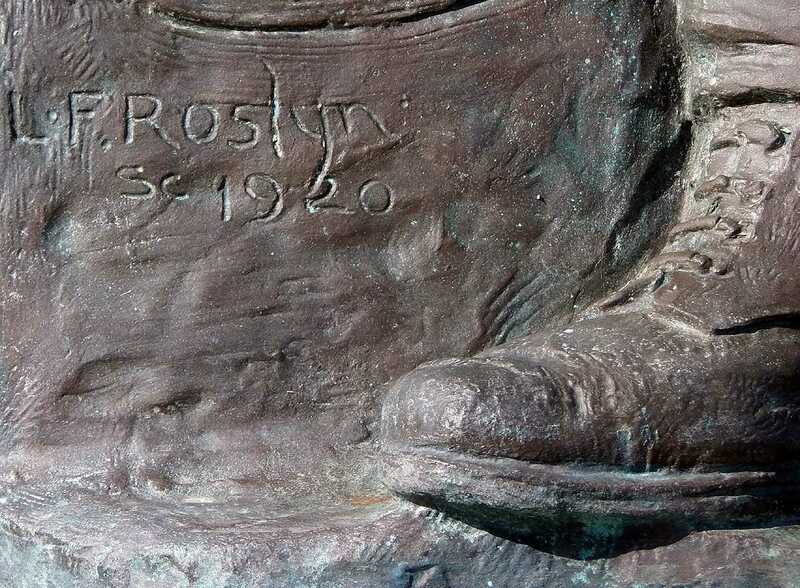 Their names will endure from generation to generation. Heroes of the Great War 1914-1918.